Native Americans are really fascinating people and they still continue to amaze with their culture and folklore. You can also find a lot of their traditional items in practically every corner of the Earth and the dreamcatcher is probably one of the most recognizable of them. So far, we played a lot of games based on the other nations and cultures, but the Tiponi’s Wilds is one of the first pokies based on the Native Americans’ tales and legends. The one about the dreamcatcher says when you give as a gift to someone you share the story and legend of the gift with the person you give it to. 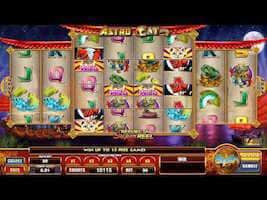 Now, let’s find out how you can benefit from the game’s Dream Catcher Bonus Feature. Lightning Box Games is a well established and a reputable land based, online and mobile game development studio based in Sydney, Australia. Their complex mathematical algorithms always result with fair, functional and flamboyant pokie machines, of which many with innovative and unique theme. The Tiponi’s Wilds is one of the most popular titles from this provider and you can play it on range of modern devices, including both desktop and mobile. Facebook users will also appreciate the possibility to play this interesting game through the popular social network. 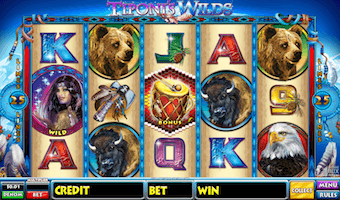 Tiponi’s Wilds is a 5-reel video pokie machine with 25 paying lines and a bunch of rewarding features, including Wild Substitutions, Scatter symbols and a Dream Catcher Bonus Feature. The game features a classic way to form a winning combination, so you have to line 3 or more symbols of the same kind placed from the left to the right side of the screen. The game is packed with themed icons such as bear, eagle, a tomahawk, and other. You will also find classic paying cards and there is also an opportunity to use the Wild symbol to replace any other except for the scatter and help you create a winning combination. The game’s wild comes in the form of the beautiful Indian Princess Tiponi, while the free spins bonus game is triggered when you collect a defined number of Drum symbols with the word “Bonus” written on it. 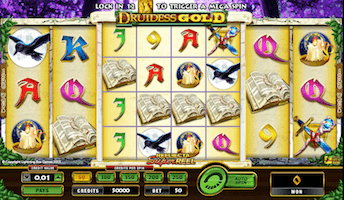 The game features unique Dream Catcher Bonus Feature and you can trigger it once you manage to collect 3 or more Bonus symbols that appear anywhere on the reels. This also interactive round, where you need to picks different hidden options to reveal additional Multipliers and Wilds. During this round, you can also score 6 free spin games with up to 4 Wilds and up to a 4x multiplier, potentially leading to more than rewarding prizes. There is also a filed with “Mystery Bonus”, so you will be randomly rewarded with a Wild icon or a multiplier. The bonus round ends when you choose up to 2 icons with X written on it. 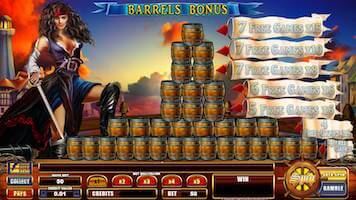 The maximum jackpot prize depends on the amount of money you decided to wager through this game. Tiponi’s Wilds feature a wide range of betting options, so you can start from as low as $0.01 up to $1 per round, per spin. Set in the scenery of Native American legends and their themed symbols, Tiponi’s Wilds is a refreshing new pokie machine where you can benefit from free spins, wilds and multipliers. 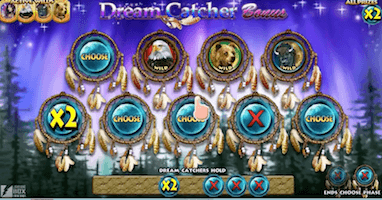 The game’s unique feature is the Dream Catcher Bonus, where you can score more wilds and more multiplied winnings. The game is adapted for a range of modern devices, so you can enjoy it both while sitting comfortably in your living room or playing on your Android, iOS or Windows powered tablet and smartphone.